Don't miss the Father's Day SALE happening on June 6-9, 2018 at Wellington Centre BGC. Get great gift ideas for the man, or men in your life, with discount of up to 70%! 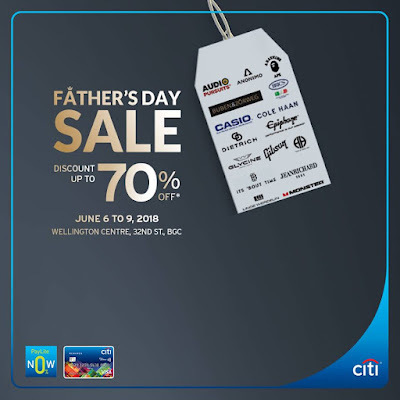 Citi cardholders get the first dibs, and exclusive access on June 6, plus 0% Paylite throughout the duration of the sale event. Sale is open to the public on June 7-9, 2018. 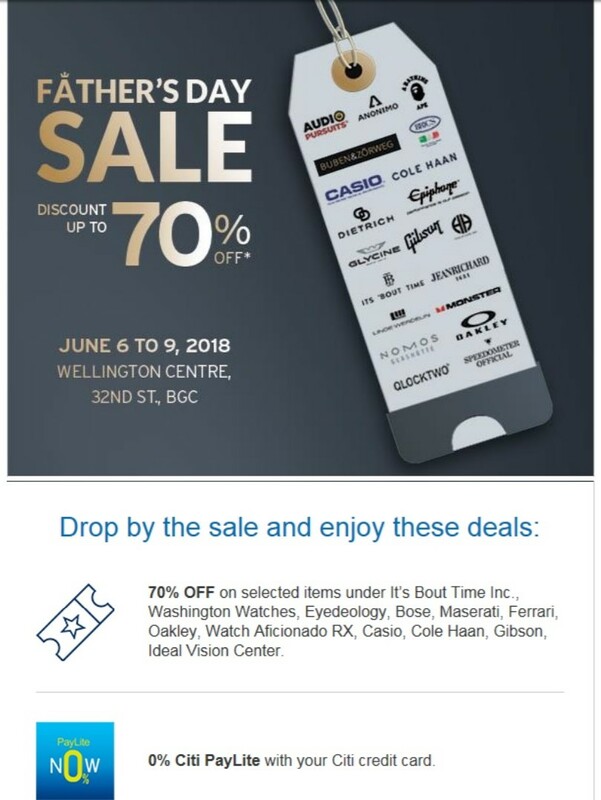 Enjoy exclusive discounts up to 70% off on selected items from Washington Watches, Ideal Vision Center, Casio, Oakley, Cole Haan, Gibson & more.